In medicine, a patient’s symptoms may be explained by many causes. Experienced doctors train new physicians to keep an open mind and an active list of potential diseases until evidence indicates one. Thoroughness for the patient’s sake is crucial, and skilled doctors quickly change their thinking if indicated by new evidence. The good of the patient far surpasses a doctor’s pride. Both observations are right on target. First, as he and the following evolutionists avow, evolution has no life apart from natural selection. Second, “selection” is a captivatingly powerful idea—it’s difficult to dislodge things that exist only in someone’s mind. A decade later, Dennett elaborated that “selection” is the natural designer equivalent to God. Cast aside any doubt. The heart and soul of evolution is “selection”—because it’s ultimately the controlling “mind” behind the entire hypothetical evolutionary process. Though Darwin did not know exactly how variable traits are inherited, research has shown that DNA segments called genes (and other information) control how traits are expressed. Genetic alterations called mutations can profoundly affect expression. Evolutionists believe a major source of new genetic material is mutation. The vital need, however, is some type of management—a substitute designer that “sees,” “selects,” “saves,” and “builds” with mutations. “Natural selection” is intended to fill this role. The word “select” is an absolute necessity to Darwinism. Prior to “natural selection” becoming accepted in the 1930s, the ability to deliberate alternative outcomes and make choices was considered to be restricted to conscious agents. Volition was implicit of intelligence. In reality, deliberative capacity is still evidence of information-bearing agents. Choice-making abilities have never been observed by anything other than these agents or by things they have designed. Life displays features apparently chosen by a designer to solve environmental problems or exploit properties such as gravity and friction. Darwin’s extraordinarily clever account attributes those features to unintelligent natural forces that somehow could “select” in a way very much akin to how animal breeders select. Analogy to artificial selection allowed Darwin to sweep God’s intelligence out of nature’s design with one hand, and sweep in a natural source of intelligence—a substitute god—with the other. But is there really a natural reservoir of choice-making ability, a natural fount of intelligence equivalent to an animal breeder’s mind? No. Darwin’s masterful rhetoric subtly reversed the real power source at the organism-environment interface. Framed in modern biology’s context, it’s now clear that credit is taken from the organism’s DNA and reproductive mechanisms and given to the environment. He successfully deflected attention from an organism’s God-given capacity to reproduce offspring with heritable, variable traits that turn out to be suitable to environments, and invalidly terms that as a selection of “nature.” Thus, intelligence is misappropriated from the living world and ascribed to unintelligent—but now “selective”—nature. Basically, their problem is this: Since there is no designer, using the word “design” is fundamentally illegitimate—in spite of qualifiers like “apparent” or “illusion of” preceding it. Just using the word to explain anything is self-defeating. The Scientist makes a good point. 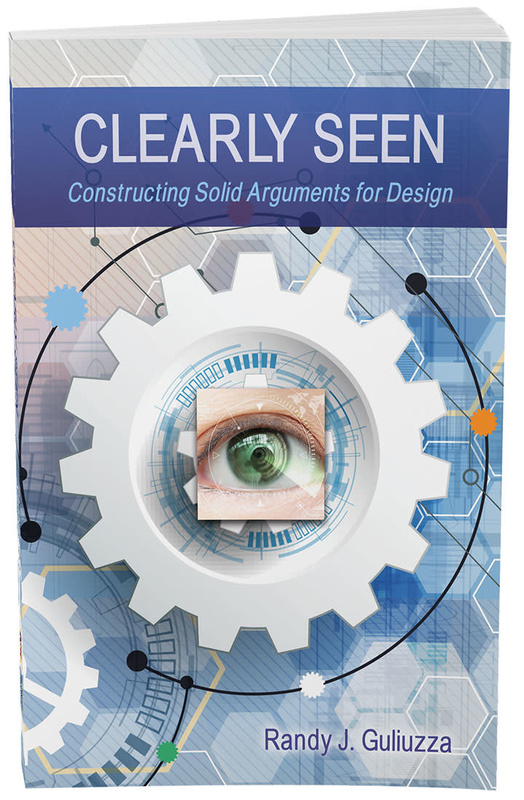 Why would any evolutionist persist in incorrectly using “design,” since that word by necessity evokes thoughts of a “designer” and will always be misinterpreted? Advocates, therefore, insist that “selection” is not used in a literal sense. Really? 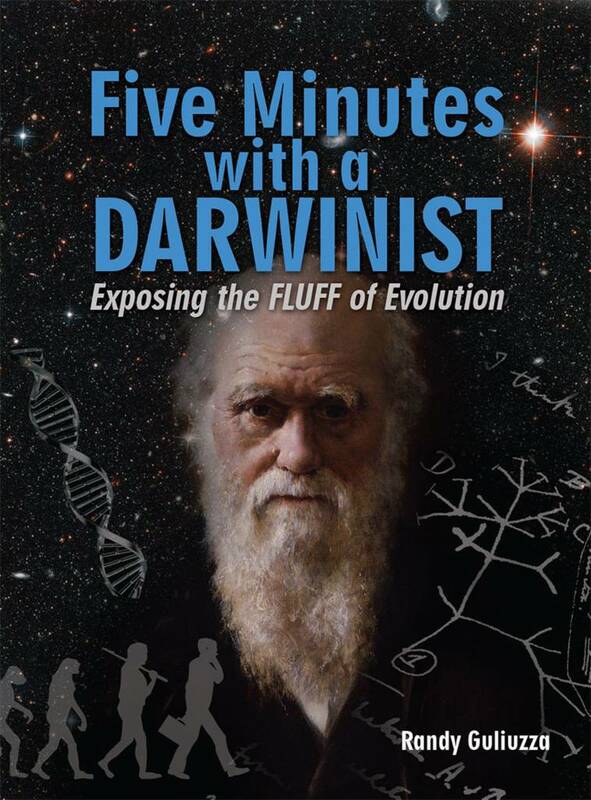 Darwin deliberately used words that literally described natural selection like a real external mechanism. Since “selection” only happens in someone’s mind, word usage is very important. So when Darwin states, “Natural selection is daily and hourly scrutinizing…every variation…rejecting that which is bad…silently and insensibly working,” or Kauffman says, “Natural selection is the invisible hand that crafts,” or Coyne asserts, “Natural selection builds features that benefit individuals,” or creationists say that selection “works on,” “favors,” or “punishes,” can someone really discern how much convincing is being accomplished through literal or metaphorical use rather than evidence? Since no tangible force or agent can truly be linked to “selection”—even by analogy or metaphor—using the word puts evolutionists in a dilemma. On one hand, the concept’s mental power resides in metaphorical usages. “Selection” must be personified as the intelligent “selector” intentionally “working on” organisms…but becomes exposed to this valid objection: If the incorrect usage leads, then a misinterpreted deification of Nature follows. On the other hand, if “selection” is merely a figure of speech, or an unhelpful circular observation like “survival of the fittest,” or a label applied to organisms’ innate capacities, then it loses all of its power—since these cannot really explain nature’s design. Consider a scenario in which a so-called revolutionary book details how a certain critical muscle-renovating process called “Ecospheric Renovation” can act on anyone. Readers are told that this process will work in their depleted muscle cells if and only if: 1) Sustenance rich in protein is ingested; 2) basic components are split from foodstuffs by digestion; and 3) muscle cells absorb those new molecules. If these conditions are met, “Ecospheric Renovation” will occur. Muscle cells will be pressured toward vitality. Carefully presenting “Ecospheric Renovation” in this way might garner some believers. But astute people will say, “What revolution? ‘Ecospheric Renovation’ is just a clever label placed on innate metabolic processes already taking place. If this acts on me, who or what is the ‘renovator’? Renovation is simply taking credit for my own processes.” Like “natural selection,” the words “Ecospheric” and “Renovation” effectively divert attention away from where metabolic powers to support muscles really reside—strictly within innate capabilities of organisms. Darwin’s remarkable feat—which continues nearly unaltered—was to get everyone looking at the organism-environment interface from the environment’s perspective. External forces are illegitimately given credit for the capabilities of the organisms. This fraud is clearly captured in the conclusion of the Origin: “The production and extinction of the past and present inhabitants of the world should have been due to secondary causes,” which Darwin claims exist external to inhabitants, so “as natural selection works solely by and for the good of each being…to progress toward perfection,” therefore, “these elaborately constructed forms…have all been produced by laws acting around us.” Immediately, he describes them as “these laws, taken in the largest sense, being Growth and Reproduction; Inheritance…; Variability from the indirect and direct action of the condition of life.”14 The “laws” of reproduction, variability, and inheritance do not act “around us,” they act in us. If modern descriptions of “selection” are of a process, a study of prerequisites from either evolutionist or creationist advocates unfailingly includes three organism-centered conditions: 1) reproduction of traits, 2) which differ vitally in ability to solve environmental problems, 3) which are heritable. Just like Darwin, conditions specified to be environmental “selection” are really the unfolding of genetic abilities programmed into organisms themselves. Organism-based metrics such as fertility, gene frequencies, or death rates can be quantified as populations generate traits suitable to fill changing environments. What has not been quantified is any “selecting” force or intelligence. Nobody has ever seen a “selection” happen. The words “natural” and “selection” in no verifiable way accurately describe observable interactions between an organism and its environment. It is challenging to dissect evolutionary language that clouds the fact that the power to solve ecological challenges resides in organisms and not environments. For instance, which statement is true: “Changing environments select the fit, enabling better design in organisms,” or “Organism’s innate design enables a better fit to changing environments”? Might promoters fixate on the apparent self-evident “selection” impacting populations and miss that the explanation for a “selector” is a mental perception that is not grounded on reality? The power of “natural selection” to imprison minds must always be taken seriously—as it’s only in the mind that “selection” actually occurs. So what happens in a mind that observes organisms (programmed to generate potentially problem-solving variable traits) overcoming environmental problems? What arises in minds immersed in “natural selection” that view interactions from the perspective of “nature’s” inanimate forces and are further clouded by being uninformed that there is no real “selector”? When such a mind sees offspring possessing traits they generate, enabling them to pioneer into changed environments, paradoxically their mind “sees” the environment “select for” an organism—a conclusion opposite to real external stimuli.2 That mind just ascribed intelligent action, “selection,” to unintelligent natural forces. Even worse, it did not ascribe proper credit to the Lord. Replacing “selection” with the truth that organisms are programmed with powerful potential capabilities—namely, to reproduce with variable, heritable traits, enabling them to fill earth’s environments—can liberate one’s mind. A hallmark of practitioners of science is a provisional hold on explanations in order to willingly acknowledge that there may be more than they understand. There should be no doubt that evolution’s heart and soul is “selection” and that serious harm to “selection” undermines evolution. If the evidence points to the fact that “natural selection” is merely a figure of speech, and thus impotent, should not honest scientists put aside their passionately held beliefs and accept reality? But what exactly is passionately believed? Knowing this might explain why resistance to change comes from people who insist that they know exactly what “natural selection” means. “Selection” is cleverly—but illegitimately—used to attribute intelligence to an unthinking environment to explain nature’s design. As a label applied to the normal outworking of organisms’ innate programming that enables them to fill environments, it steals credit from the organism and ultimately from the Lord. Just using the word in any way as an explanation is self-defeating, since it always feeds the beast of some substitute designer. Instead of convincing people that “selection” is real but really weak, it would be wiser to show them that “selection” is not really real. Ascribing glory to the Creator, and not to “natural selection,” should itself be motivation enough. See Get Answers, posted on answersingenesis.org, and Sarfati, J. 2002. Moving Forward: Arguments we think creationists shouldn’t use. Creation. 24 (2): 20-24. Guliuzza, R. 2011. 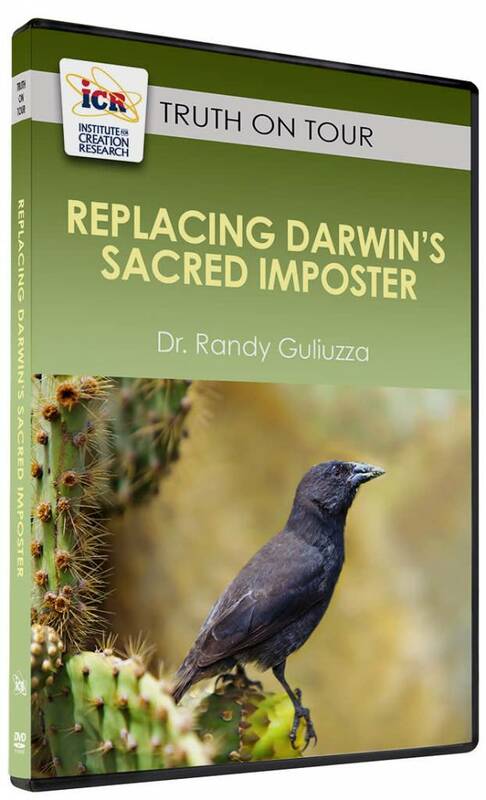 Darwin’s Sacred Imposter: Recognizing Missed Warning Signs. Acts & Facts. 40 (5): 12-15. Dennett, D. C. 1995. Darwin’s Dangerous Idea: Evolution and the Meanings of Life. New York: Touchstone, 21. Dennett, D. C. Show Me the Science. New York Times, August 28, 2005. Coyne, J. 2009. Why Evolution Is True. New York: Viking, 119, emphasis in original. Coyne, J. The Improbability Pump: Why has natural selection always been the most contested part of evolutionary theory? The Nation, May 10, 2010. Coyne, J. Don’t Know Much Biology. Edge, June 6, 2007, 212. Kirschner, M. W. and J. C. Gerhart. 2005. The Plausibility of Life: Resolving Darwin’s Dilemma. New Haven: Yale University Press, 255. Kauffman, S. A. 1995. At Home in the Universe: The Search for the Laws of Self-Organization and Complexity. New York: Oxford University Press, 150. Flores, G. 2005. Journals and intelligent design. The Scientist. 19 (4): 12. Hodge, M. J. S. 1992. Natural Selection: Historical Perspectives. Keywords in Evolutionary Biology. Cambridge, MA: Harvard University Press, 212-219. Johnson, J. J. S. 2011. Just Say No to Trojan Horses. Acts & Facts. 40 (2): 17-18. Darwin, C. 1872. The Origin of Species by Means of Natural Selection, 6th ed. London: Senate, 428-429. Cite this article: Guliuzza, R. 2011. Darwin's Sacred Imposter: How Natural Selection Is Given Credit for Design in Nature. Acts & Facts. 40 (7): 12-15.